We talked about Art, Architecture, and Aesthetics and how they relate to each other. Along the way we mentioned Theme. 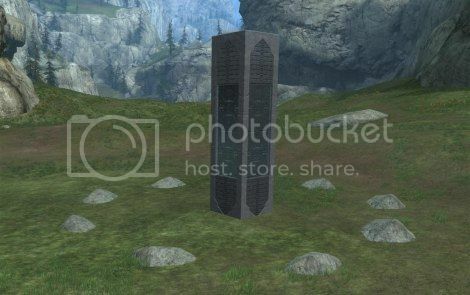 I want to go into depth about Theme, demonstrate the value it can bring to your map, and some practical ways to forge a map with a strong Halo Theme to it. When a player looks at your map, what do they see? Either your map will have a strong Theme, or your map will be nothing other than a pile of blocks. As I mentioned earlier, I learned some techniques about how to bend perception by exaggerating features to help the player see what you want them to see, because you cannot forge what you want to forge correctly. My first map, Flight Deck, was my first attempt at this, and I thought an aircraft carrier was a great Theme to forge. But Affinity showed me how limited bending perception actually was, and how important it would be to leverage the Theme of the Canvas’ palettes. I don’t mean that bending perception was limited in the sense that you can only apply those techniques so many ways. What I mean is that at the macro level, or at a rough draft sort of way, you cannot draw a player deep into the Theme when there are details on the skins of the blocks that don’t support your Theme. Looking at Affinity’s tall columns with fine and accurate etchings across their pristine surfaces shouted forerunner. If you want to make a Halo map for the playlists, you can’t do better than a forerunner Theme. Well, the truth is, you can’t do better than the Theme of the Canvas’ palettes. This is because the fine details of the skins add to your Theme – or take away from your Theme – in ways that nothing else will. The details, the etchings, the colors, the cohesion of these elements across the Palette, they all add to the total cohesion of your Theme, your Architecture, your Artistic works on your map in ways that tie everything together. The fine etchings on the surface of the blocks will detail your map for you. But this implies that you need to do the heavy lifting of creating the bulk of the map’s Theme in structural design – how the structures are laid out, the blue prints of the buildings, etc. You can only rely upon the skins of the blocks to bring the Architecture alive to the players by giving the surfaces of the structures the final touch to the Theme that you forged the structure only so long as the two Themes are one in the same. Take a Forge World 1×4, merge it into the ground a little, put some small rocks in a ring around it, and what do you see? That is the Theme of your map, as simple as it may be. Do you see how you can Forge a Theme without effort? Do you see how when you keep your map simple the Theme in the palette is leveraged more as the visual cues to the players what the map’s Theme is suppose to be? Do you see how you make the skins carry your theme when you keep the structures simple? This is yet another example of Less Is More. Don’t be afraid of using too few blocks that your Theme will be missed. Be afraid of using too many blocks that your Theme will be hidden in the confusion and clutter. Don’t be afraid of relying upon the skins of the blocks to carry your Theme. Be afraid of creating a Theme that contradicts that of the palette. Maps without Themes are just piles of blocks. Create maps with Themes based upon the Themes of the palette of the Canvas you are forging on. The palette’s Theme can bring your map alive. Don’t over forge the Theme, but rather let the block skins present the Theme for you.